My children love hands on toys, as well as creating & building objects, this past January in fact, my son received his very own Gears! Gears! Gears! Lights & Action Building Set from Learning Resources! It quickly became a huge hit in our home & still continues to provide hours of floor play for my children! Well Learning Resources recently released an adorable Gears! Gears! Gears! 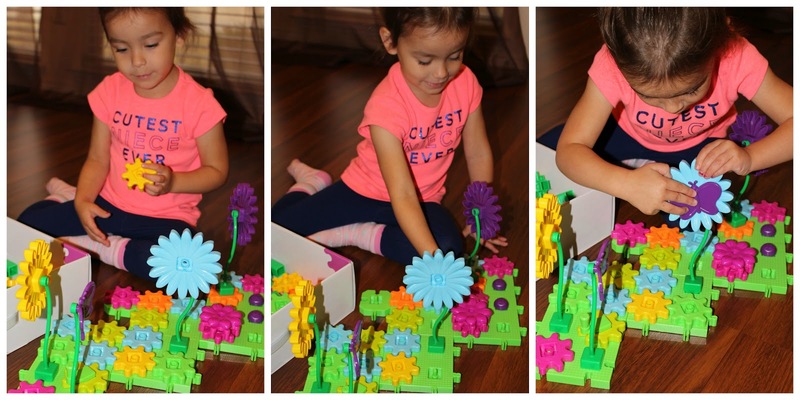 Build & Bloom Building Set which is an online exclusive & I knew Little Sister C would be overjoyed to have her own fun gears set! Ideal for ages 4 & up, your daughter will love this "girly" gear set, full of colorful gears, flowers, butterflies, bees, ladybugs, wiggly stems & more! Mix, match & create a beautiful spinning flower garden with the 116 piece set, the pieces are interchangeable, so the combinations & designs are endless! This set works with the other Gears! Gears! Gears! building sets from Learning Resources, so my children could even combine their sets for bigger & better creations if they wanted too! My daughter has played with this set for hours since it arrived a few days ago, she loves that it's super easy to connect the gears & pieces, plus the pieces are the perfect size for little hands & she loves chatting about the different colors in the set! Do you have a little builder at home that would enjoy this set? Buy it: You can purchase the Gears! Gears! 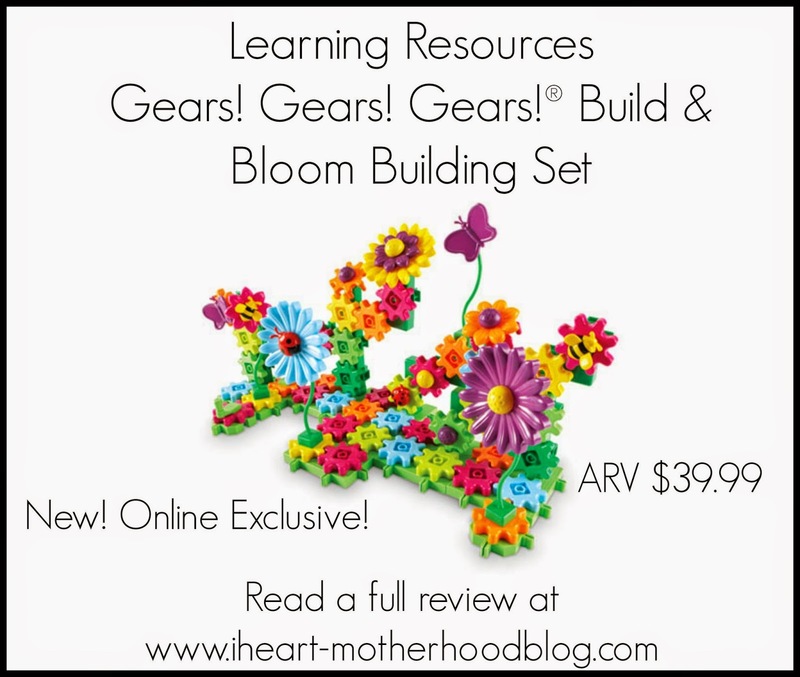 Gears!® Build & Bloom Building Set online from Learning Resources for $39.99! 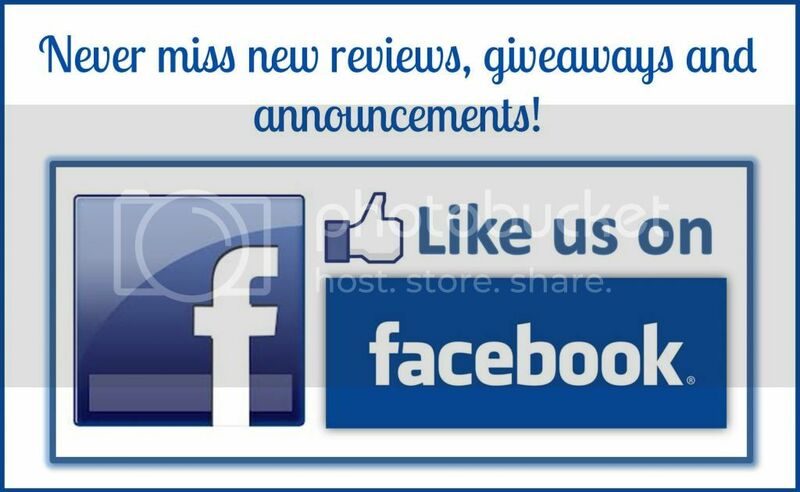 Feel free to stay connected with Learning Resources on Facebook & Twitter! We just got this and my kids can't wait to play with it! So bright and colorful! I bet they'll play with it for hours! I bet my niece would love this!! I would have loved to play with a toy like this when I was growing up. This looks like a nice Christmas or Birthday gift to give my niece. I know she would love it!